Hello routine...nice to see you...well sort of. So, today we are all back to the grind here. I kind of felt bad for the boys. I mean seriously, this felt like they were done with school. Luckily, they were both good sports and got ready for school on time today with minimal complaints! Thank goodness! It helped that French toast was a big part of the morning. There is nothing like French toast and cartoons to start your day off right! I like starting the week off on a good note for them with special breakfasts in hopes that will bring good moods on for the day! I really like making French Toast with bread that I can slice. That way you can do thick slices and that is my favorite way to make this. I did a simple one egg and about 1/4 cup of almond milk with a little nutmeg...fried it up in a little Smart Balance light (I bet coconut oil would take this to a whole other level...next time), topped with a little powder sugar and maple syrup...simple and delicious! and a gluten free loaf for the illustrator. 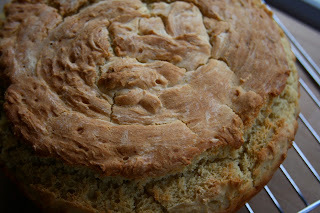 Homemade bread of any kind can be kind of tricky, but I am working on a few techniques and combinations of flours. I overcame my fear of cranking the oven up! I took that baby to knew heights! Dare I say that I love the gluten free just as much as the gluten full? I think I just did. The crust on this is so good! 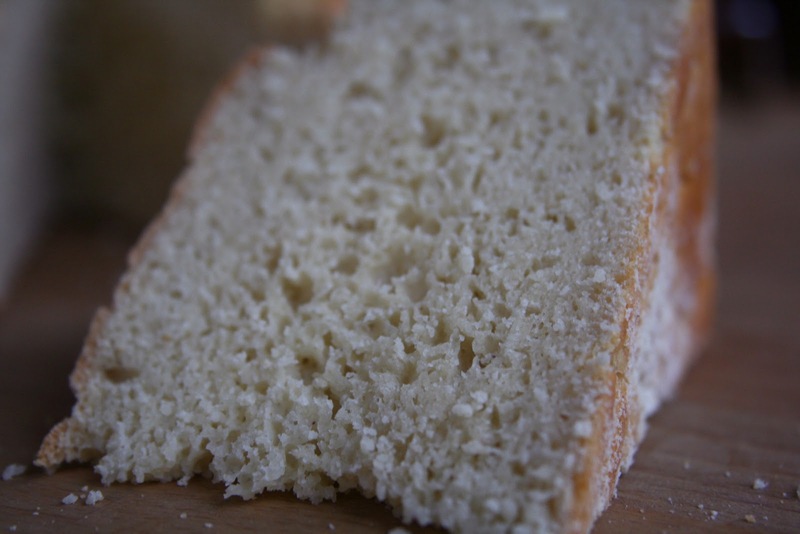 I know most of you don't have to eat gluten free, but I have to say that some of the flours, especially garfava and quinoa, have so much flavor and really make baked goods taste so much better. 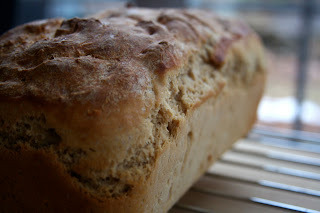 The crust on the whole wheat loaf is amazing too and the inside was so fluffy and chewy! The best part about having fresh bread in the house is that you are set up for easy tasty meals! We are having sandwiches tonight. Maybe not the most exciting, but for some reason I am looking forward to it. Maybe because the illustrator is making them? Things always taste better when he makes them...I don't know why, but they do. Have you ever tried gluten free flours even if you don't have to? If so, what is your favorite? I am always so impressed with your GF bread. I know you've been perfecting it of course, but still. I love the idea of starting the week off with a special breakfast. That's such a great idea! That French toast looks delightful! Any way you would share your GF bread recipe? Ive got the double whammy of being a gluten free vegan. 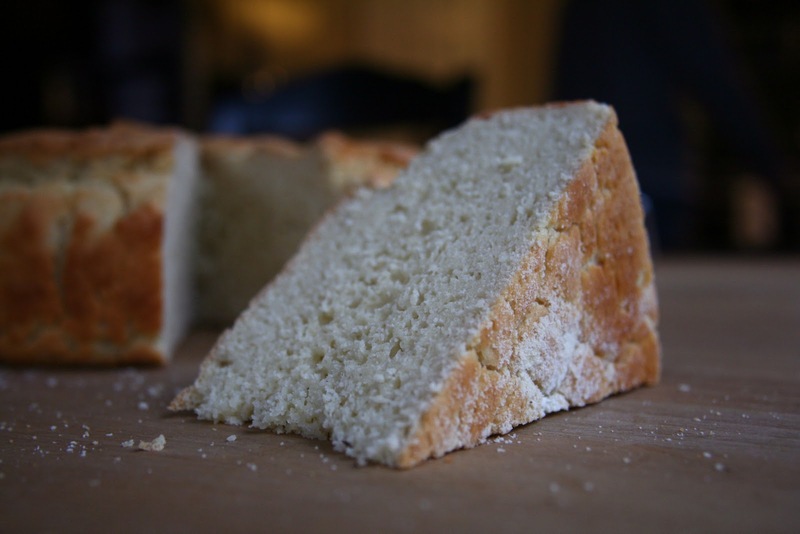 Any GF bread recipe I can find is always a treasure! I have been craaaving french toast lately...unfortunately, I haven't been making bread!! I agree - it's definitely best when it's thick slices with a good crust, too. I don't have to use GF flour, but I really enjoy using buckwheat flour for a lot of things. Your french toast looks SO awesome! Oh, I so wish you had not posted this. Now ALL I want is french toast!! Yummy! Both loaves look delicious, as does the French toast. Mmm! 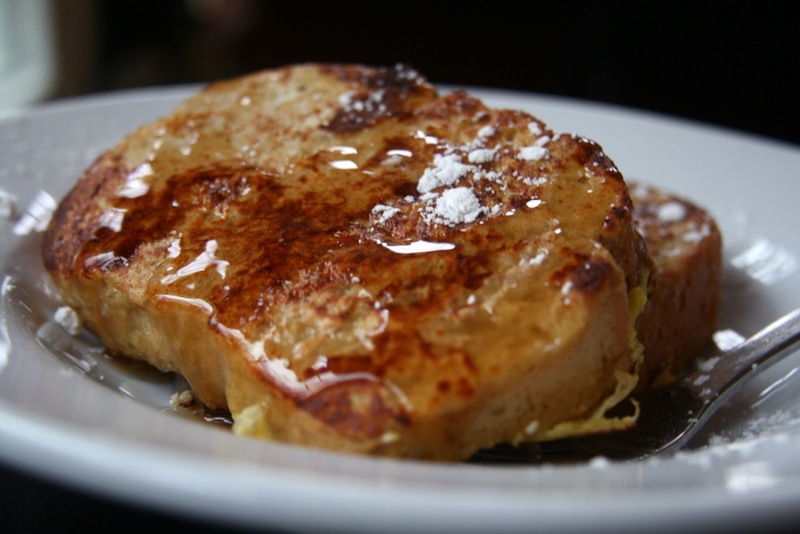 The french toast looks gorgeous! I've been dying to make some as one of my "weekend breakfasts" (because I save the decadence for then), but am holding out until I make bread from scratch. 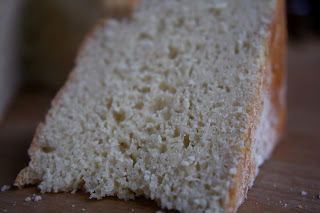 I've still got regular sandwich bread from the grocery store, and I don't think it will be nearly as good! Have a great evening, my dear! 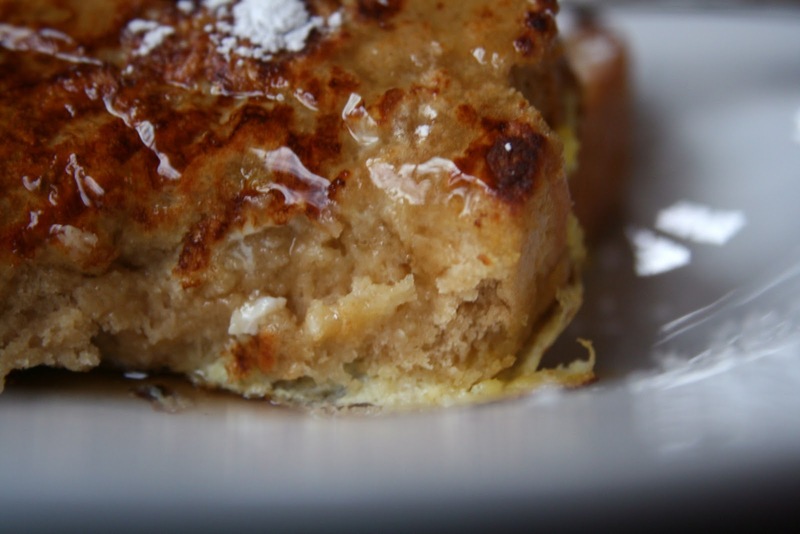 French toast is always a great start to a morning! GF and dairy free? this is heaven for my eyes...and soon for my belly! That looks amazing as usual. Hope the boys had a good first day back. Just checking in to say I hope I will be as good of a mom as you when Finn is older... you are so good to your boys and it warms my heart! I prefer gluten-free flours and flavors, even though I have to eat this way, I still think I would even if I could eat gluten-free. I have always preferred things with more flavor and texture. French toast-amazing...i'm drooling over all the bread pics! My husband has been asking me to make french toast for weeks now (I'm more of a pancake/waffle girl). But made with homemade bread sounds fantastic! yummie yummie yummie for my tummy except I must use gf bread! I'm finally getting up the courage to bake with yeast. Now I have something to look forward to...this French toast! I've never baked with GF flour before, but I do plan on making Ashley's Chickpea Bake very soon! I'm definitely excited about it! mmm just made french toast casserole this weekend and it was phenomenal! love it! mmmm - it's been too long for me and french toast!! !